The vision I have for West Atlantic Avenue was best articulated by my oldest daughter at her graduation. Dr. Ashley Ridley shared that growing up was like putting together the pieces of a puzzle. She shared that before she would start working on a puzzle she would look at the puzzle box first to gain insight on what the final product should be. Dr. Ridley shared that her family and the residents of West Atlantic were her puzzle box, all she had to do was put the pieces together. My vision is for the West Atlantic Community to continue to be a place where families of various cultures and incomes will choose to live, work, and play. A place where children are not viewed as who they are, but who they will become. A place where the elders are valued and respected for the wisdom they bring. A place that I can live the remainder of my life and watch my grandchildren put together the pieces of their puzzle. Alfred “Zack” Straghn, the founder of Straghn and Sons Funeral Home in Delray Beach has run the family business with his three sons providing services for almost 10,000 people since being in the funeral business. Alfred Straghn was born in Delray Beach and has been an involved and caring resident. 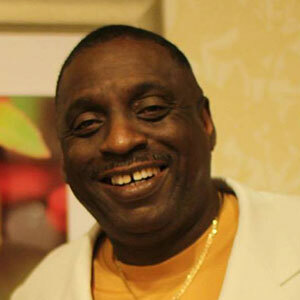 He attended Bethune-Cookman College in Daytona Beach, Florida where he earned a bachelor’s degree. He is a very active member of several strong community organizations including the West Atlantic Redevelopment Coalition and Spady Museum’s EPOCH Board as well as a member of the NAACP. Many adults in the community remember him as their Sunday school teacher, a position he has held for many, many years. Not one to taut his generosity, he is a philanthropist and has provided assistance to many when it was needed for professional service, clothing, tuition, food, utilities, etc. While he has received many honors, trophies, and plaques, a singular honor was bestowed upon him when he was recognized as a Distinguished Man of Excellence by the Delta Heritage Foundation. Ms. Wright was born and raised in Delray Beach. She is a mother of one who is the Supervisor of the Aftercare Program at the Achievement Center in Delray Beach. Ms. Wright is the proud grandmother of three grandchildren. 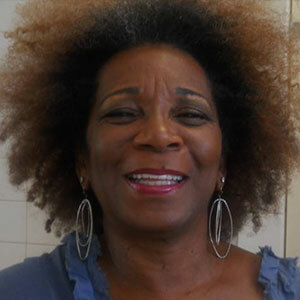 Ms. Wright has been employed with the Miami Dade Water and Sewer Department for 30 years. Ms. Wright is currently in the Florida State Retirement Drop Program. Ms. Wright lived in Miami for 28 years. In 2001 Ms. Wright decided to move back home. She was able to purchase a home in Delray Beach through the Delray Beach CDC. Ms. Wright served as the President of her neighborhood association Carver Memorial. 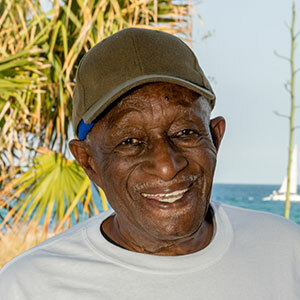 Additionally served as a member of the Northwest President Alliance, representing the Carver Memorial Neighborhood, former member of the Coalition for Community Redevelopment, was elected as a Board Member of the Delray Beach Community Land Trust in 2008 to present and became a member of the West Atlantic Redevelopment Coalition in 2012. 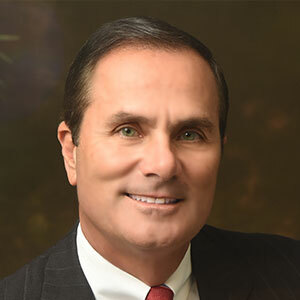 Mike Caruso is a lifelong entrepreneur and Certified Public Accountant, specializing in Forensic Accounting for over three decades. Mike is an active civic leader who currently serves on the Delray Beach Police Advisory Board and as West Atlantic Redevelopment Coalition (WARC) board member, charged with advising the City of Delray Beach and CRA on economic initiatives, redevelopment planning, and neighborhood safety. Mike also co-chairs the WARC Economic Committee. Mike grew up in Washington DC, where he started businesses selling flowers, mowing lawns and painting houses as he worked his way through college. After graduating with a degree in Business Administration, (concentration in Accounting), from George Washington University, he began his career with accounting firms, KPMG and Grant Thornton International. His innovative style drove him to open his own firm, eventually bringing him to South Florida. Mike is a Partner in the accounting firm Caruso & Caruso and Chief Financial Officer of Delray Beach Executive Suites located in the SET. He is a regular expert witness in Palm Beach and Broward County Circuit Courts on Forensic Accounting and Business Valuations. He is the father of 7, champion barefoot water-skier, and enjoys spending time at the beach with his wife and two dogs. 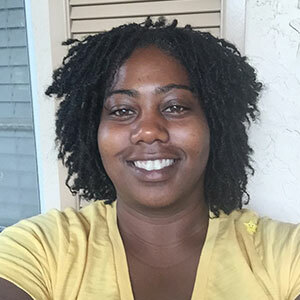 Rhonda Williams-Turner is a native Floridian and happily married to Jason Turner Sr. She has 5 children of her own 4 boys and a daughter but has been a role model and mentor to a host of other youth in the community of Palm Beach County. Mrs. Williams-Turner’s commitment to the community started in 1995 where she began working for MAD DADS of Delray Beach, a nonprofit agency. Working at MAD DADS allowed Mrs. Williams-Turner to really understand the importance of the phrase— “It takes a VILLAGE”. 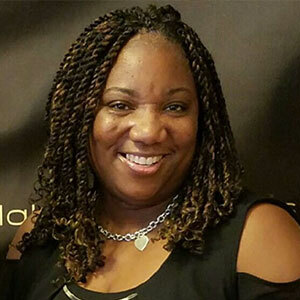 She faithfully worked to implement numerous youth programs within the community such as Delray Divas Step Team, Delray Blazers Basketball, and summer teen programs. Mrs. Williams-Turner did not stop there as a City of Delray employee at Pompey Park she began to create other programs and events for the community including Family Fun Day, Delray Beach Trailblazers honoring Community Leaders of Delray and many more activities. Mrs. Williams-Turner began building a legacy that has grown over many years in leadership and commitment to the youth and adults within the community. Currently Mrs. Williams-Turner is the founder of 4 Knowledge is Power and holds a Master’s of Science degree in Mental Health and Marriage & Family. As the founder of 4 Knowledge Is Power she seeks to positively influence and encourage today’s youth …understanding that the early years are the most critical years of their lives. 4 Knowledge Is Power encourages a positive education not only through books but through history. 4 Knowledge Is Power has not only created activities for youth but feel the need to empower adults to be successful. The organization has created many empowerment panel sessions to encourage. 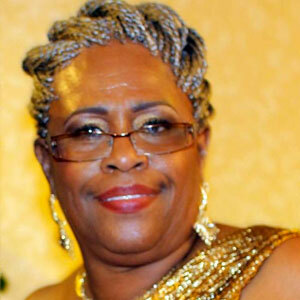 Mrs. Williams-Turner is a member of Delta Sigma Theta Sorority of South Palm Beach Chapter. Mrs. Williams-Turner received the 2017 UN-SUNG HEROES Award from Boca Above and Beyond Award from Ladies of Futurity (2016), Legends Award from the South Palm Beach County Chapter of Delta Sigma Theta (2009), Chosen as an honoree for MAD DADS of Boynton Beach the Tanya Hearst-Williams Award (2007) and the “Children for Champion Award” (June 2004) for outstanding work with the youth in Delray Beach. Mrs. Williams-Turner attends St. John Missionary Baptist Church in Boynton Beach. In her spare time, she enjoys being with her family and traveling, her goal is to enjoy life and continue to let God direct her path she gives all the glory to him. Mrs. Williams Turner’s motto is Dream Bigger, Reach Higher and Achieve More. My name is Raiko Knight and I have 3 children. I have worked as an Elementary Guidance Counselor for the past 10 years. Prior to working as an Elementary Guidance Counselor, I was employed by the Department of Children and Families (ChildNet) as a Family Services Counselor/Child Advocate and Independent Living Specialist. I enjoy servicing families and children in an effort to assist them reach their maximum potential for success. I received my B.A in Psychology from Florida Atlantic University. I went on to earn my M.S in Guidance and Counseling and later a Doctorate of Education from Nova Southeastern University.